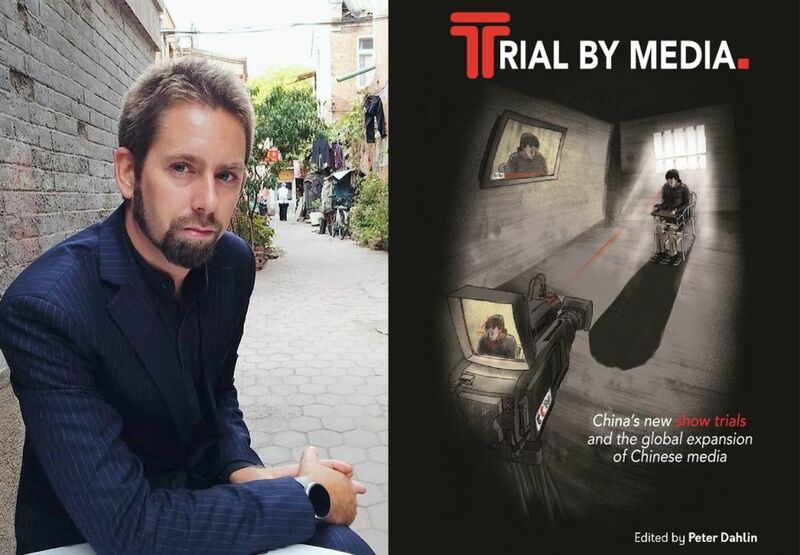 A British fraud investigator has filed a complaint with a UK telecommunications authority against Chinese state media CCTV for operating in violation of the regulator’s broadcasting code, and for complicity in committing gross human rights violations. Peter Humphrey was forced to confess on CCTV for crimes he had been not convicted of in 2013 and 2014. He filed a complaint with the Office of Communications (Ofcom) in an attempt to revoke the UK licence and credentials of CCTV and its international arm CGTN. If the complaint is upheld, China’s state broadcaster will be effectively kicked out of the UK. A drawing of Peter Humphrey’s forced confession. Illustrated by Alexey Garmash. Humphrey said that winning the complaint would be “part of [his] path to exoneration,” for an ordeal lasting almost two years that will forever haunt him. “I continue to suffer from nightmares, flashbacks and bouts of depression over my ordeal, my entire family’s ordeal. The forced TV appearance [in] the cage is a trauma that will never leave me. 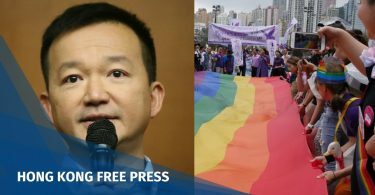 I just have to learn how to manage my trauma,” he told HKFP, three years after he was released from prison alongside his wife Yu Yingzeng. 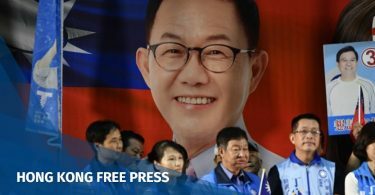 “This action is one of a number of actions that I intend to take focused upon the illegal acts perpetrated against me and my family by the Shanghai regime, against certain individuals who played criminal roles in our persecution, victimisation, unlawful imprisonment, and material damage,” he added. Humphrey, a former Reuters journalist, and his wife were hired by pharmaceutical giant GlaxoSmithKline to conduct the company’s internal probe in January 2013. “The upholding of the complaint and sanctions against CCTV in the UK would send a strong signal to Beijing and would alert the world to the dangers posed by [CCTV]. A denial of the complaint would be a dark day for democracy, for the rule of law and for human rights” he added. Forced television confessions have frequently occurred in mainland China since Chinese President Xi Jinping came to power in 2012. 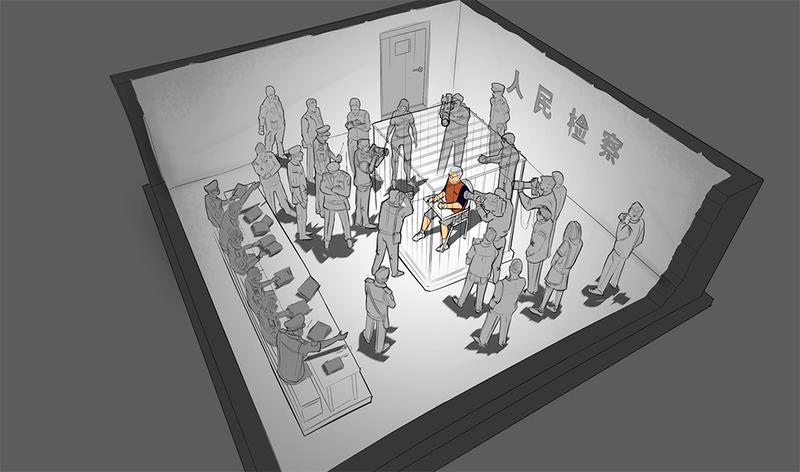 Humphrey said CCTV had colluded with the Chinese police to conduct the forced confessions. “Foreign Office records show that a senior UK consular officer met the head of the Shanghai police a few days after the first CCTV broadcast and told the Chinese side that if such an incident happened in the UK then the so-called case against me and my wife would have been thrown out for violating legal process,” the complaint added. Peter Humphrey’s two confessions on CCTV. Photo: Screenshot. Humphrey and Yu stood trial in August 2014 and were sentenced to 30 and 24 months in jail respectively. They were released in June 2015 following diplomatic pressure. CCTV will open its European hub in Chiswick Park in London next month. It will be CCTV’s largest foreign bureau, reportedly with plans to base more than 300 staff. In the complaint, Humphrey said he only raised it on Friday because he had to undergo long-term cancer treatment after his release, as he was denied treatment in prison. He also had to undergo long-term treatment for post-traumatic stress disorder and physical treatments for damaged joints and nerves. Humphrey is being assisted by Swedish activist Peter Dahlin, the director of Safeguard Defenders which aims at fighting against television confessions. Dahlin was also forced to confess on CCTV in January 2016. Dahlin told HKFP that the complaint identifies over 20 different violations of the broadcasting code in the forced confessions broadcast by CCTV, covering four different types of violations. They said the request to strip CCTV’s licence was based on Ofcom’s Broadcasting code and a past case in 2009. In that year, Iran’s Press TV broadcast a confession on UK airwaves by the then-jailed Iranian-Canadian journalist Maziar Bahari. Bahari filed a complaint to Ofcom, and in 2011 PressTV lost its license to broadcast in the UK. Safeguard Defenders is publishing a new book Trial By Media on television confessions. The book includes testimonies from Humphrey, Dahlin, human rights lawyer Wang Yu, Hong Kong bookseller Lam Wing-kee, among others. “This experience and struggle does not diminish my love for the Chinese people and their culture after 43 years of involvement with China. The Chinese people deserve better governance than they have today,” Humphrey told HKFP.